DAVE DUCKETT, HIS SON JUSTIN AND WIFE ROBIN WERE AWSOME. 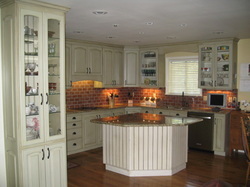 I HAD JRT KITCHEN AND DESIGN DO THE REFACING OF MY KITCHEN CUPBOARDS. THEY DID SUCH A WONDERFUL JOB. EVERYTIME I GO INTO MY KITCHEN IT IS LIKE WALKING INTO A MODEL HOME. I AM SO THRILLED WITH THE EXCELLENT WORK YOU HAVE DONE. YOU GUYS ARE GOING TO BE REALLY BUSY IF WORD OR MOUTH HELPS. BECAUSE I AM GOING TO TELL EVERYONE AND ANYONE THE FANTASTIC JOB YOU DID . THANKS AGAIN, I LOVE IT !!! and it did not take them very long to finish the project. We are very pleased with our new kitchen. I love my “new” kitchen! My cabinets and counter tops were 22 years old. 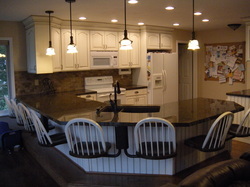 The counters were Formica and the cabinets were a dark brown oak. counter tops to complete the look. I have a NEW Kitchen. started recommending them to our friends. Nancy and I were looking to update our kitchen and we had suspended seating installed when we first built our home in 1992. We found Pivotal Seating on the internet and went to look at updating our chairs but loved what we saw in the showroom for painting our kitchen cabinets. Nancy exclaimed it was just what she was looking for when she saw the painted kitchen cabinets. 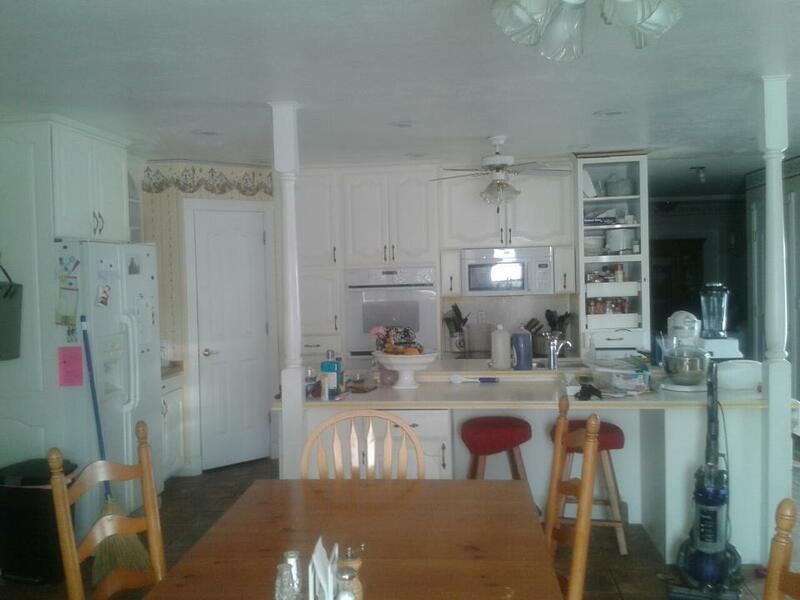 We already had several bids to redo the kitchen but were unsure of what to do. 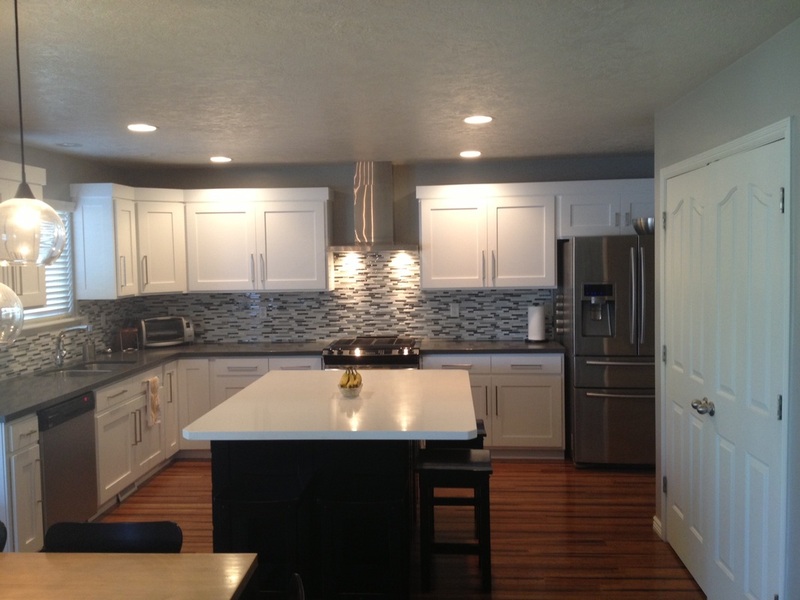 The bid included all the updates to the kitchen including painting the suspended seating, the cabinets, installing bead board, and redoing a couple of the cabinets. We loved the job so much we had them move into the laundry room and paint those cabinets as well. Dave also hooked us up with several bids to have granite counter tops installed that beat our existing bid. Best job, best price and great to work with! completion, it was only 6 weeks. As you can see, they are beautiful. JRT Kitchen and Bath did an amazing transformation of our kitchen. Dave took the ideas I gave him and created something truly beautiful. Their team was a pleasure and easy to work with. I was thankful for their decades of knowledge and expertise when I had questions or trying to make decisions. We would definitely work with them again. 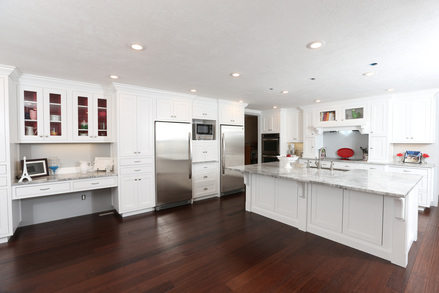 If you want quality craftsmanship, detail, and high quality, JRT Kitchen and Bath are who we'd recommend.